The Trade Marks Act of 2001 provides for local registrations with effect from the date of application. Trade and service marks can be registered under the Nice Classification system. International priority is available. Registration based on a UK registration is no longer possible. Current UK-based registrations and local registrations continue for their unexpired terms, while new registrations are for a term of 10 years, with renewals for like periods of 10 years. No local use or intent to use is necessary prior to application but failure to use a mark within a period of three years will subject the mark to an action for cancellation, provided no such action is brought within five years from the date of registration. The Authorisation of Agent form needs to be signed by an officer of the company and the seal or the stamp of the company needs to be applied, failing which the form then needs to be notarized. Please note, also, that the proprietor’s address should be placed only at the bottom of the form, and not after the proprietor’s name at the top of the form. Also, please make no alterations, amendments or reduction of the font size on the form. History: An island country in the West Indies, St. Lucia is part of the Lesser Antilles. The Arawaks, conquered by the Caribs in 800 AD, were the first tribe to settle the island. Colonization attempts occurred from the Spanish and the British but were unsuccessful. In 1746 the French created the first settlement that lasted on the island known as Soufriere. Eventually, in 1778, the British invaded St. Lucia. The invasion forced the French to cede the island to the British in 1814 in accordance to the Treaty of Paris. St. Lucia gained its independence on February 22, 1979 as a member of the Commonwealth. 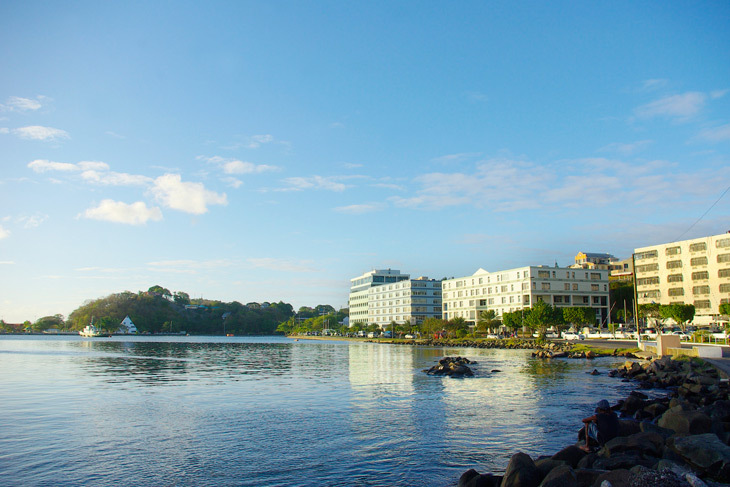 The capital is Castries and the official language is English. Although the economy mainly relies on tourism, banana production and exports have become a significant factor for St. Lucia’s economy. Recent infrastructure improvements including roads, port facilities, and communications have helped increase St. Lucia’s economic growth. St. Lucia has many local delicacies including delectable and indigenous fruits and is home to beautiful rainforests, waterfalls, and beaches. 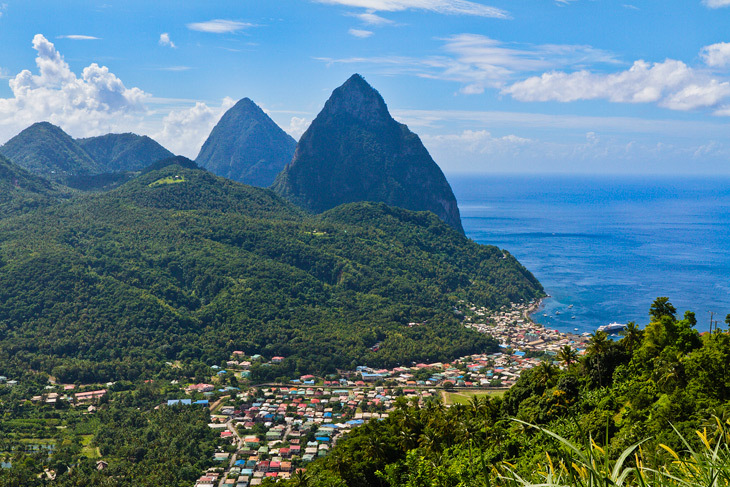 St. Lucia also has the Piton Mountains known as Petit Piton and Gros Piton, the twin volcanic peaks on the island that are over 2,400 feet high and attract hundreds of thousands of people to the island each year.